One of my favorite brands is Sole Society. I always know I can find gorgeous accessories and shoes there. Matt and I went to the Farmers Market on Saturday and it was the most gorgeous day! I seriously love Fall! 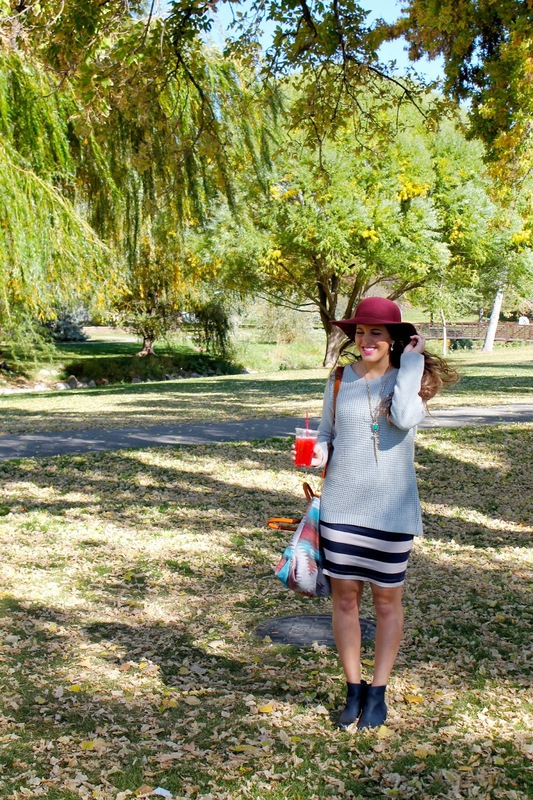 This whole outfit is a bunch of my favorites for this season! Y'all already know that I can't enough of this hat. But these booties from Sole Society are so timeless and have been on repeat. 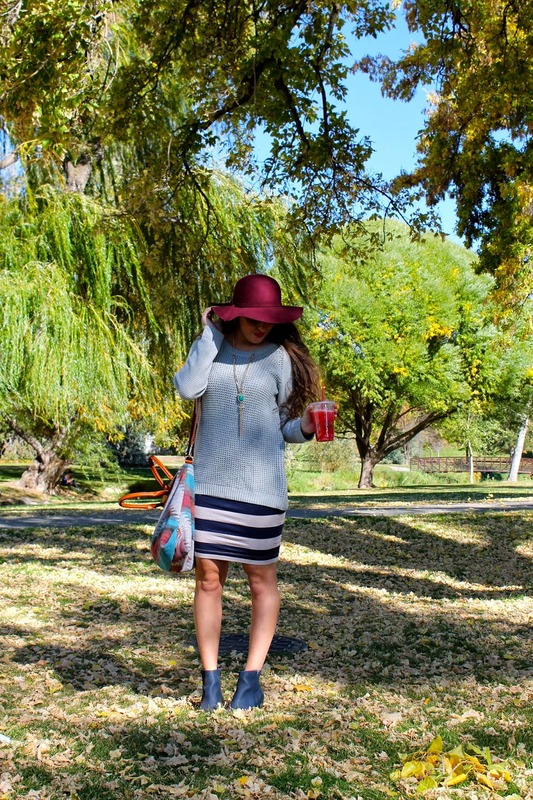 They paired perfectly with this striped pencil skirt. 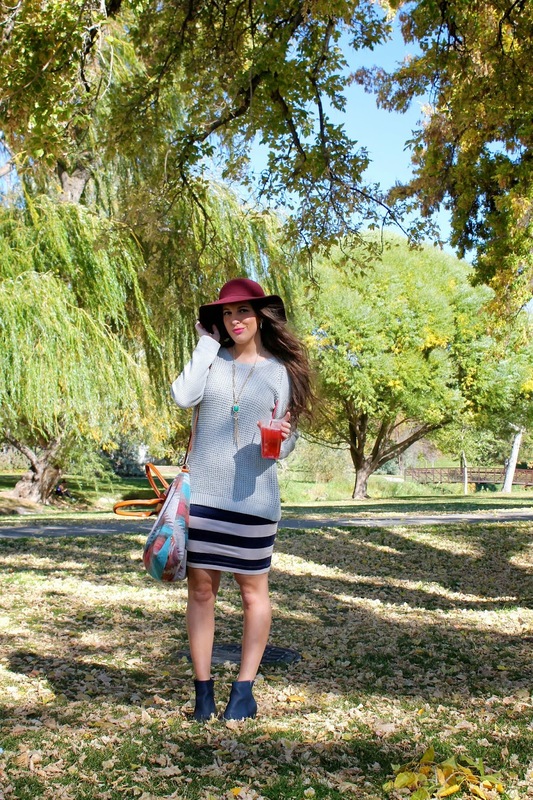 Chunky oversized sweaters are my uniform for Fall. I'm all about simple and cute! Let's talk about all these other gorgeous accessories! 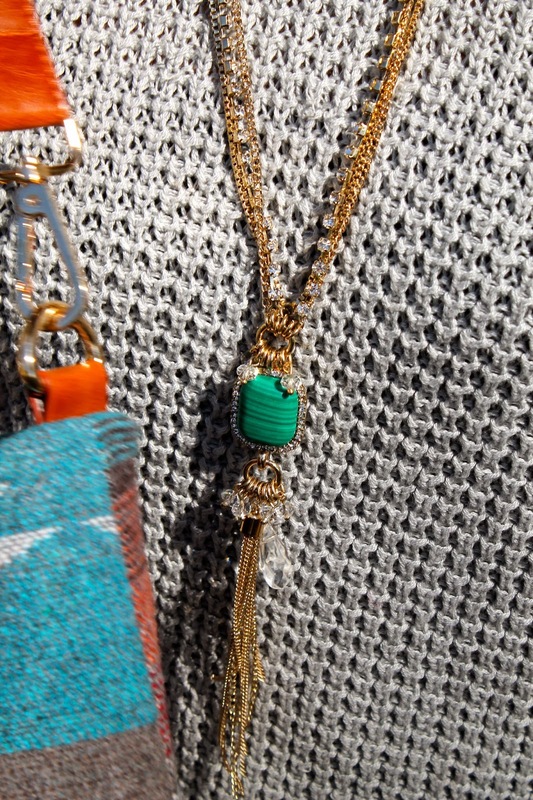 This tassel necklace from LydellNYC is ultra-chic and the detailing is gorgeous! Even though it has that pop of color, it really can go with pretty much everything. I love that it gives a little extra bling to any outfit. 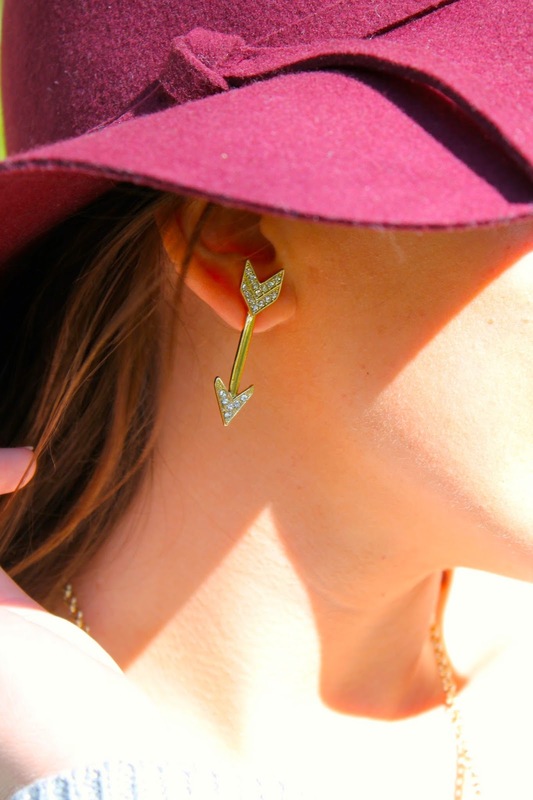 And these earrings from WearLex are some of my favorites. They are so different and they really draw attention. Sometimes earrings don't really do much to an outfit but this adds so much I think! WearLex has some of the cutest jewelry that I am drooling over. They are also offering all my lovely readers 15% off your purchase!! Just use code LILY15 at checkout!! :) So I have been wanting a purse like this for quite some time, so when I saw this at Sole Society I knew I needed it. 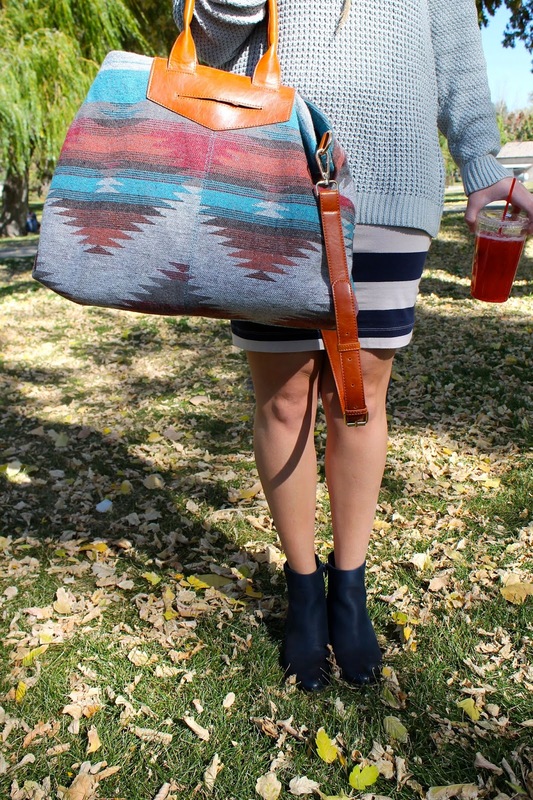 Its the perfect amount of boho that I need in every outfit, and I love the colors that go perfect for Fall! 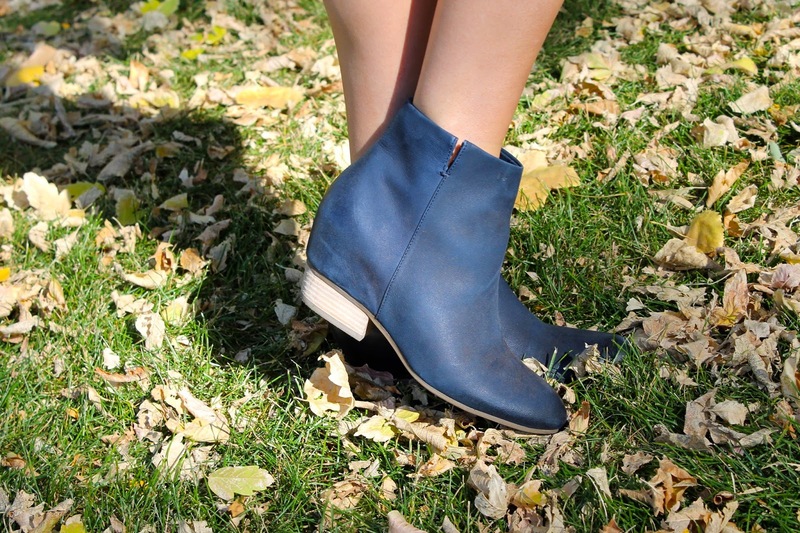 Fall is one of the prettiest seasons and Sole Society can seriously be your Fall accessory destination! Love this entire outfit, especially the earrings!